Our dentistry practice was founded by Dr. Paul Kin in 1999. For over 20 years, we have provided friendly and professional dental care for Barrie and the surrounding area. While many of our patients have been coming to us for years, new patients are always welcome! At Dr. Paul Kin dentistry services, everyone is family. We pride ourselves with a gentle touch to provide our patients with a stress-free and comfortable environment. We aim to build great relations with each and every one of our patients. When you feel at ease, you are much more likely to return and maintain optimal dental health. Whether you are coming in for a routine cleaning or are having your wisdom teeth removed, we provide the highest quality of dental care with every procedure we offer. Please browse through our website to learn more about our services or give our office a call! Dr. Paul Kin grew up in Newmarket. His parents owned a local business in a Newmarket plaza where Dr. Kin worked during the summers. His parents always impressed upon him the importance of good dental health as part of good overall health. Dr. Kin embraced this good advice and has passed it on to his family and patients. 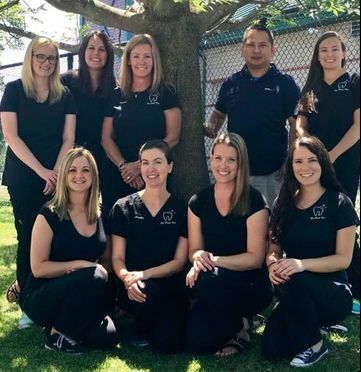 At Big Bay Dentistry, Dr. Kin and his staff work hard to make sure that all patients are treated like family and feel comfortable and welcome. After receiving his DDS from Case Western Reserve University in 1996 in Cleveland Ohio, Dr. Kin completed his residency at Albany Medical Center. Dr. Kin returned to Ontario in 1998 and since then has been in private practice. 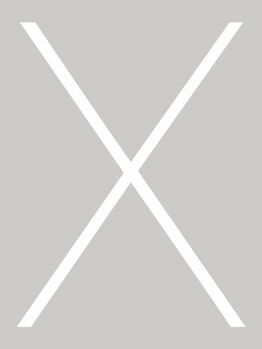 Dr. Kin is a member of the York Region Dental Society, Ontario Dental Association, Canadian Dental Association and Academy of General Dentistry. He believes in continuing education and is always taking courses to improve and bring the most current treatment to his patients. Taking care of tomorrows' smiles today is his goal. 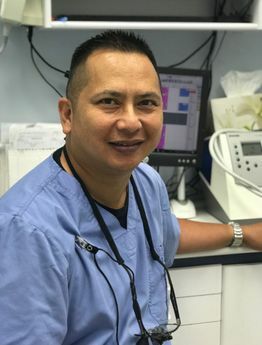 When Dr. Kin is not at the office, his favorite thing to do is spend time with his wife and children, one daughter and one son. As a family, they enjoy camping, fishing, and Disneyland. Dr. kin is also an avid golfer. As Dr. Kin’s right hand man, Tammy has worked with him for 10 years. Also a level II dental assistant, she has been in the dental field since 2001. In her spare time, Tammy loves to travel around the world and cook for and entertain family and friends. The first face when you walk in, Rachel has been with Dr. Kin for 6 years. She graduated in 2012 as a level II dental assistant. 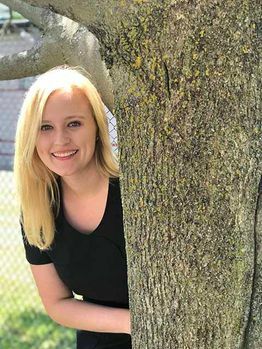 Rachel enjoys dinner dates with her friends and family, camping, and going on adventures with her boyfriend. 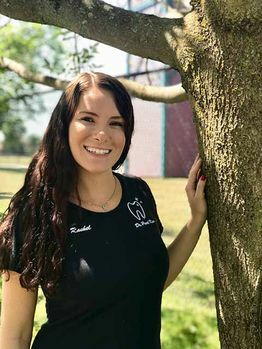 Brittany graduated from Georgian College level II dental assisting in 2013 and has been with Dr. Kin for 3 years. In her spare time, she enjoys hiking with her fiancé and their dog Dexter. 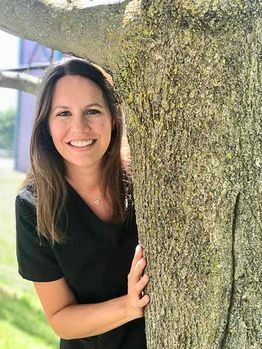 Samantha has worked as a level II dental assistant for the last 8 years, with 3 years at Dr. Kin’s practice. Samantha enjoys playing her guitar and writing songs, as wells as spending time with her family. 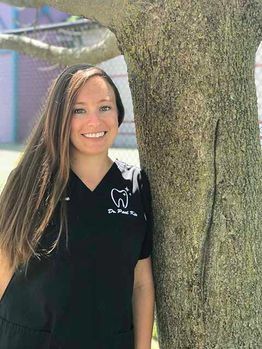 Graduating from Georgian College in 2008 with a level II dental assisting diploma, Heather has worked at Dr. Kin’s practice for 10 years. 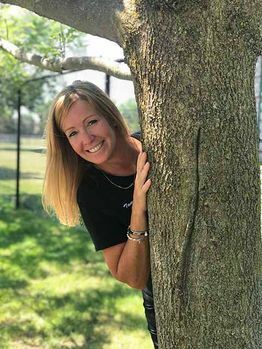 In her spare time, she plays baseball, snowboards, and goes camping with her husband and son. Angela has been with Dr. Kin for 15 years. 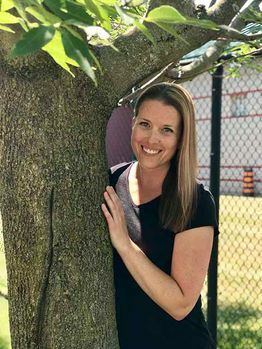 She graduated from Niagara College in 2000 as a registered dental hygienist. She enjoys camping and hiking with her husband and daughters. Gaylene has worked in the dental field since 1987, working as a certified dental hygienist in 1990. She has been with Dr. Kin for 13 years. She enjoys spending time with her husband and kids. 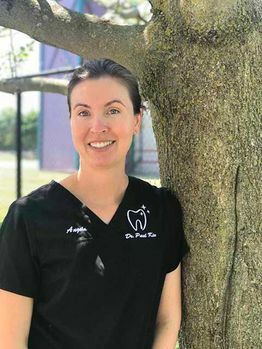 Working in the dental field since 2003, Shana became a registered dental hygienist in 2005. She has worked at Dr. Kin’s practice since 2006. In her spare time, Shana enjoys spending time with her husband and her boys. 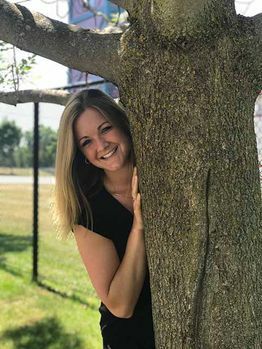 Anne graduated from Canadore College in 2009 as a registered dental hygienist. She has worked with Dr. Kin for 9 years. In Anne’s spare time, she enjoys boating with her husband and their dog Sunny.